Design [Sleeve] – Foster & Knowles Advertising*, Ichikudo Printing Co., Ltd.
℗1979 Original sound recordings made by Raincloud Productions Ltd. 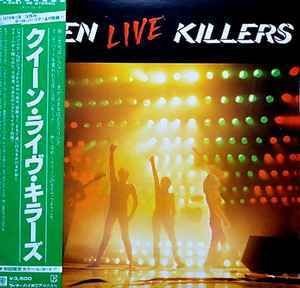 Pressed on translucent green (record 1) and red (record 2) vinyl, housed in a full colour gatefold picture sleeve complete with matching colour inner sleeves, 4-page Japanese text biography/lyric insert and discography obi-strip. Promotion edition comes with sample sticker on front sleeve and 'sample' printed in Japanese on the labels.